Video taken of missing Iowa jogger Mollie Tibbetts from the day before she went missing has been obtained by ABC News. 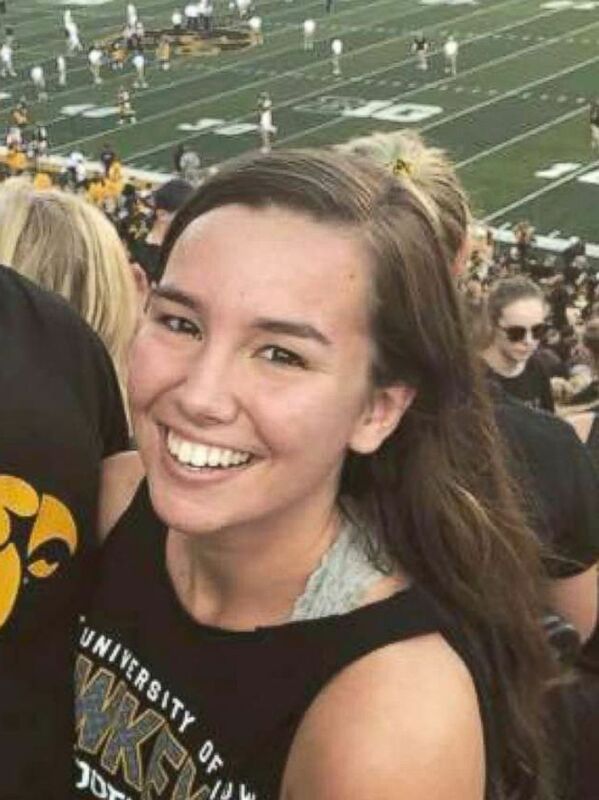 Tibbetts, 20, went for a jog the evening of July 18 in Brooklyn, Iowa, where she was staying with her boyfriend, Dalton Jack, for the summer. She never returned and was reported missing the following day when she didn't show up for work. Police said they've received hundreds of tips and are analyzing surveillance video from businesses in Brooklyn along the route Tibbetts usually jogs. At a press conference Monday, police released no specific details about new developments in the case but said the search is active. "Law enforcement and hundreds of others have devoted countless hours to the investigation," said Kevin Winker, the director of investigative operations for the Iowa Department of Public Safety. Data from Tibbetts' Fitbit, which contained GPS-enabled tracking, is also being examined, police said. "We do believe that there's going to be some useful information [from the Fitbit data] but [we are] not willing to share that," Kriegel told ABC News in an interview July 26. Tibbetts' father said he believes there's someone else with information that could help locate his daughter. 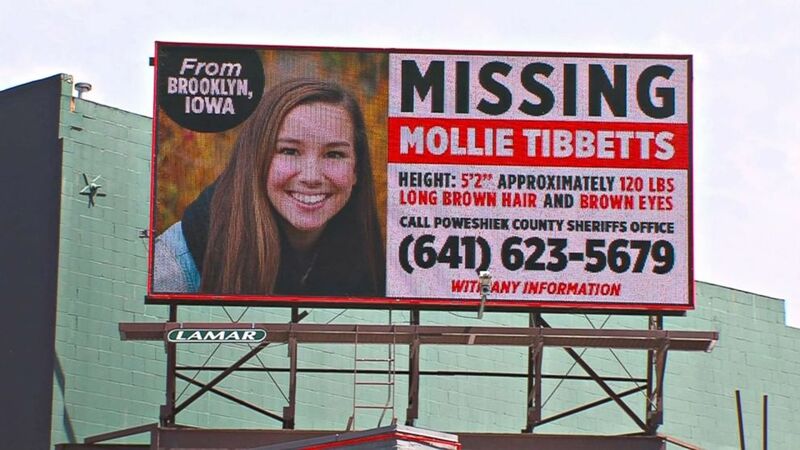 Missing Person billboard for University of Iowa student Mollie Tibbetts. "It doesn't matter what we're going through, we just need people to think -- because somebody knows something, and they don't even know it's important," Rob Tibbetts said. The reward for information on Tibbetts' disappearance has now exceeded $300,000. ABC News' Morgan Winsor, Meghan Keneally and Justin Doom contributed to this report.